Tom and I made a long trek out to Michigan to race in the 3rd round of the Max-Attack series. Inspired by Jake Himes, who had recently passed away, we finished top of our class and 16th overall, achieving 4th place in Max-Attack and winning a cash prize for the first time. Getting there was not without it's adventures. The tow was completed by Tom, my father, and a crew member or two in a borrowed truck towing a borrowed enclosed trailer over several days of I-90 in October. I ponied up for a flight to 'da UP and arrived in style at the tiniest airport I've ever been to. All of this for our first out-of-region rally. 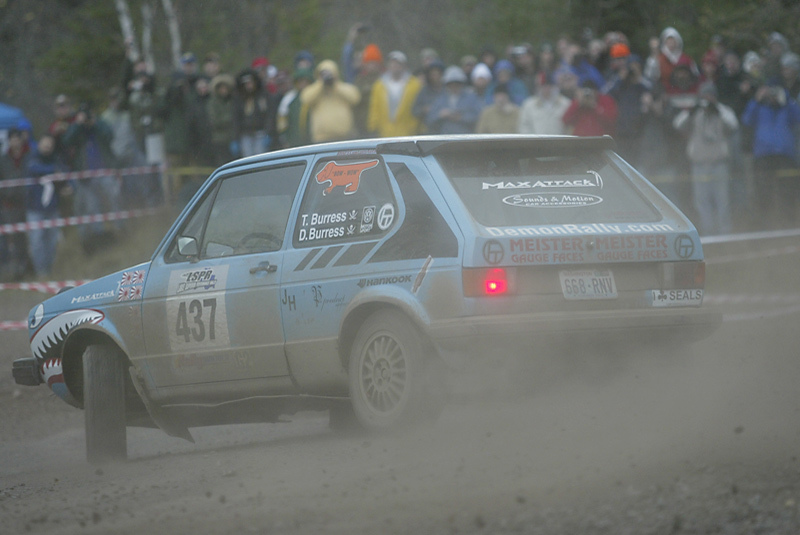 We'd entered in the national rally, as required by the Max-Attack rules back then, and planned to dominate. The roads on Friday night were also amazingly rough in parts, which is part of the history of this longstanding event. They did invent the POR ("Press On Regardless") rally spirit, after all. Well, After finishing a grueling night of rally, we made arrangements to borrow a set of organizer notes from another team. I had never read notes on stage before, so we learned as we went. Not to diminsh our result or anything, but all but one of our competitors had crashed out or broken on Friday and our goal was definitely to finish, at that point. Not the Max-Attack spirit, but a necessary return on investment. After we heard that the last Group 2 team had a mechanical DNF, we definitely cruised to the finish and got used to notes. It would have been nice to continue to trade times with them, but we lucked out and were able to finish. It was an emotional finish for the team. A difficult rally, a long tow, a red cross on two different stages (one of those cancelling both runs of the famous Brockway stage that we had hoped to try), and our own tribute to Jake Himes really made us proud to be on that podium, even though we were the only ones.